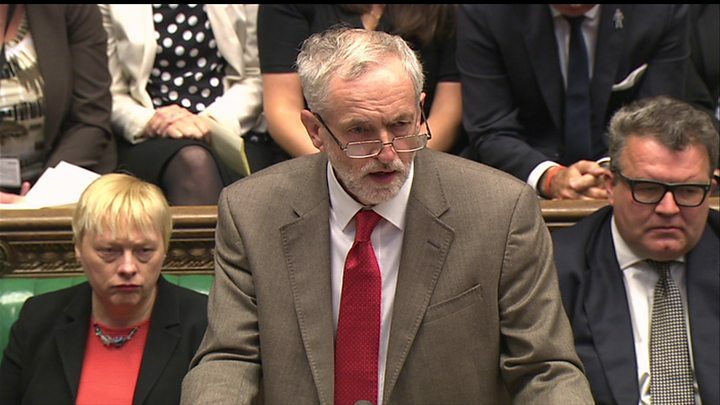 Jeremy Corbyn has challenged David Cameron over tax credit cuts and affordable housing in his second Prime Minister's Questions appearance. He said the government was "limiting the life chances" of hundreds of thousands of children. The PM said the new National Living Wage was making people better off. The Labour leader repeated his PMQs tactic of asking questions submitted by the public, saying he had received 2,000 emails about tax credits. Unlike his first outing, the Labour leader asked his own, follow-up questions to those submitted by email. These were largely focused on tax credits and housing. BBC political editor Laura Kuenssberg said this was a more effective strategy than on his debut, but added: "Did it really put the prime minister under much pressure? Not yet." Mr Corbyn, who has called for a "kinder" politics, attempted some putdowns to the prime minister, saying Mr Cameron was "doing his best" and telling the Commons he would "bring the prime minister back to reality". 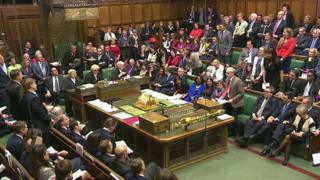 When he was heckled from the Opposition benches, the prime minister asked Labour MPs: "What happened to the new approach?" Mr Corbyn's first question was from a single mother who he said would be £1,800 worse off under the Tories' changes to tax credits. "Isn't the truth of the matter that the government is taking away the opportunities and limiting the life chances of hundreds of thousands of poor and middle-income children in this country," he said. This was rejected by Mr Cameron who said higher wages and reduced childcare costs and lower council rents were making people better off. 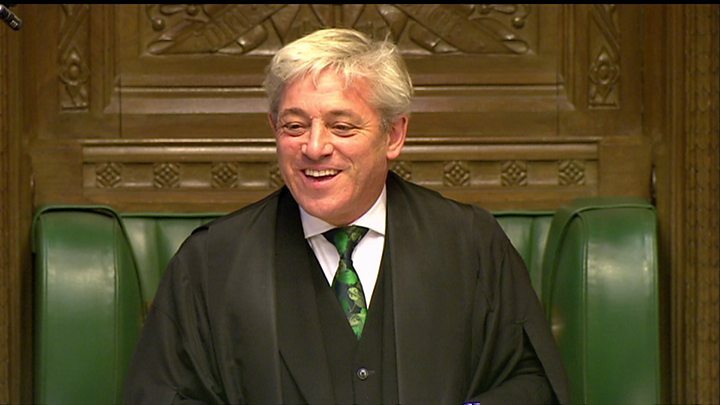 He pointed to increased employment rates and accused Labour of "borrowing money forever", repeatedly attacking its change in policy towards the government's fiscal charter ahead of a vote later. The Labour leader switched topics and said he had received 3,500 emails on the subject of housing, including from "Matthew" who was struggling with high rents in London but could not afford to buy a home. David Cameron said "we are doing everything we can" to get councils to build more houses, and said he wanted to see "starter homes" in the capital in the £150,000 to £200,000 price range. The most a "starter home" in London would cost would be £400,000, he added. Mr Corbyn's final question was about improving data collection on people with secondary breast cancer, which Mr Cameron said he was "absolutely right" to raise. It was quite clear that the prime minister's main message of the session was to question Labour's U-turn over the vote on the Charter of Budget Responsibility later on Wednesday. Shadow chancellor John McDonnell had said Labour would support the charter, which commits future governments to spending less than they receive in taxes in "normal times" (ie not during recessions), but changed his mind on Monday. Mr Cameron said that Labour's opposition to the charter meant the party now believed in "borrowing forever". You can watch the whole session back, see key clips and follow all the reaction and political developments on our rolling politics coverage. 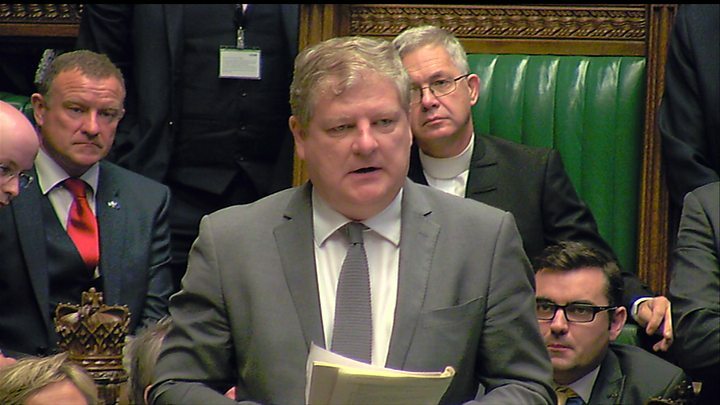 The SNP's leader at Westminster, Angus Robertson, asked what lessons Mr Cameron had learned from failed military interventions in Afghanistan, Iraq and Libya and said the government did not have a strategy for Syrian migrants who were in Europe. The PM said sometimes not intervening was worse than intervening, and that while he "cannot wait" for the Iraq Inquiry to be published, measures were already in place including setting up the National Security Council and acting on the basis of clear legal advice. Mr Cameron also attacked Lord Ashcroft's biography of him in response to a question from Labour's Kevin Brennan about his knowledge of the former Conservative donor's non-dom status. "I can think of many better uses of his time than reading that book," he said. The PM also rejected online and workplace voting for industrial action ballots, which trade unions are calling for.